From the sturgeon [totem], you can learn how to persevere no matter how difficult the situation, how to stay true to your course, you can strengthen your determination and learn about depth and knowledge. In sidereal astrological traditions, the August full moon occurs in either Capricorn or Aquarius, both ruled by Saturn, which also gives determination along with some difficulties that provide opportunity to learn our most profound lessons in life. This year the August full moon is in the sign of Aquarius, along with Neptune, all opposite a newly retrograding Mercury in Leo. The conjunction of Moon and Neptune may stimulate empathic interactions, as well as sublime fantasies. The retrograding Mercury may bring up old issues from the past. Old lovers or friends may call. If you are surrounded by other people during this full moon, you may feel like an emotional sponge, so pick your company wisely. Otherwise, if you are lucky enough to have some free time, you may wish to drift off into your own private world to indulge in deep meditation, visions, or fanciful dreams. This Aquarian moon occurs in the twenty-fourth nakshatra Shatabhisha, which means "the hundred physicians" or "hundred healers." It may also be translated as "the hundred flowers" indicating the knowledge of herbs and other flower remedies. The number 100 refers to the collection of stars belonging to this asterism, each representing one physician or healing flower. The deity associated with this nakshatra is Varuna, one of the most important deities during the pre-Vedic period. 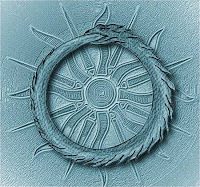 Varuna means "he who covers" probably referring to Varuna's rulership of the skies and cosmic weather. From this elevated position of observation it was natural for Varuna to become the great observer of deeds, and his role was to punish those that were transgressions of not merely the Law, but Rta, Cosmic Order. Rta means that which is "properly joined," "order," "rule," and "truth." It is the principle of natural order that regulates and coordinates the operation of the universe and everything within it. Thus Varuna was feared as a just judge. The stars were believed to be his thousand-eyed spies, watching every movement of men. Perhaps retrograding Mercury opposite this potentially revealing full moon will bring the truth to light and expose the many deceptions and fabrications being conjured in the media and elsewhere. Varuna is one of the Adityas, the children of the Earth mother Aditi. The Adityas are solar deities who reside in the heavens and personify various natural phenomenon. 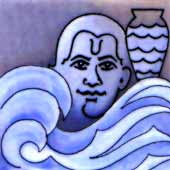 Varuna is lord of the oceans and water element in nature. 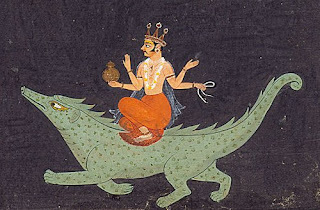 Some neo-Vedic astrologers equate Varuna with Neptune as seen in modern astrology. As this full moon conjoins Neptune, the Neptunian qualities may be amplified. Varuna is depicted as a fair complexioned man riding a sea monster while holding a pot that contains soma, the magical elixir of the gods that gives rejuvenation, intoxication, and immortality. Like the Aquarian water bearer of modern astrology, Varuna offers divine waters for healing. 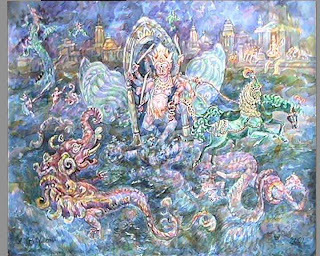 As the god of rain, Varuna presides over the oceans and the skies. He is associated with the dark half of the sky as he carries the sun deep below the waves over night. As a solar deity, this rulership over the 'dark' side may also apply to the Sun. Many of this summer's solar flares have been occurring on the dark side of the Sun, and I wouldn't be surprised to see more activity on the other side during this lunation. As space weather effects earth weather by stirring the magnetic fields, causing earthquakes, and intensifying hurricanes, this full moon may bring more rain and floods. Varuna is also a god of the dead and keeper of drowned souls, who grants immortality with his precious soma. The connection to immortality is depicted in the symbol for Shatabhisha, an empty circle. 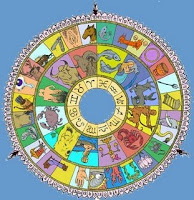 The significance of the circle refers to cycles of all kinds: the cycle of life and death, the cycle of day and night, or a trip around the zodiac. When you look these cyclic pattern of energy, you realize that there is no death, only eternal cycles. Perhaps this is the secret to immortality? An empty circle also implies a boundary around space, such as a galaxy, solar system, or a cellular wall of a microscopic organism. 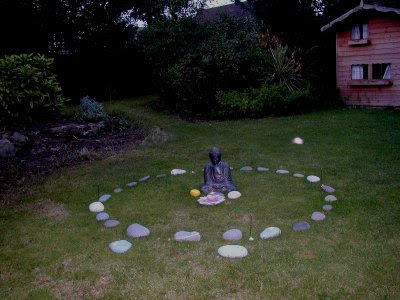 A circle may be used to set the boundaries in the creation of sacred space like a medicine wheel in which healing work may be done under its protection. Thus a circle may contain and protect as well as conceal and hide. 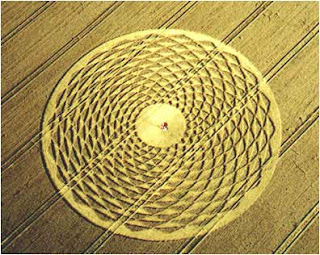 For example the mystery of crop circles is that their meaning is often hidden in the geometric designs within the circle. And the energy within the circle is different than the energy outside the circle. Shatabhisha is also known as the "veiling star" which alludes to this type of hidden message. This nakshatra is ruled by Rahu, the North Node of the Moon whose shadow is powerful enough to consume the luminaries during an eclipse. He is depicted in art as a dragon with no body riding a chariot drawn by eight black horses. 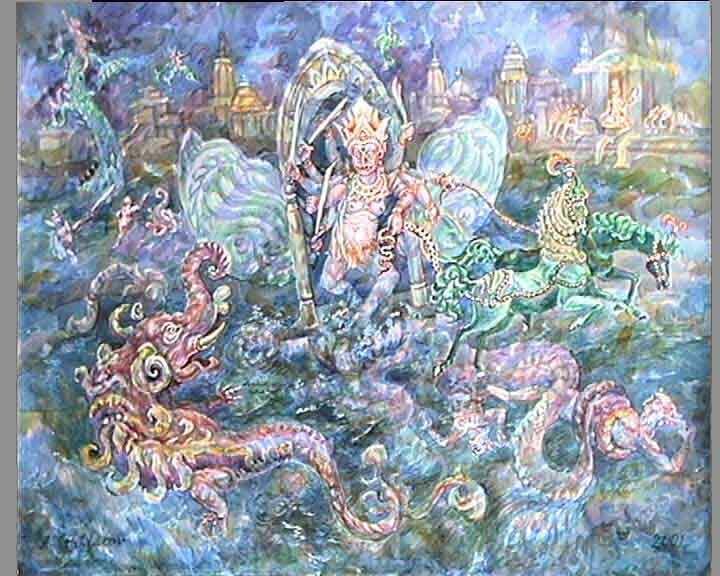 According to the Puranas, the asura Rahu drank some of the divine nectar of immortality during the Samudra manthan, churning of the oceans. Alarmed that a demon might acquire the power of longevity, Vishnu cut off Rahu's head before the nectar could pass his throat. The head, however, remained immortal as it had already tasted the divine elixir. Because of its desire for divine nectar, Rahu is associated with intoxication and is an indicator of obsession with power, fame, and immortality. 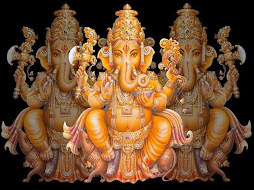 This connection with desire for immortality and the cosmic ocean links Rahu to the nakshatra Shatabhisha. Thus this nakshatra is associated with secretive nature that may veil or distort information for both selfish or sacred purposes. It may not be clear whether the obfuscation is to gain personal power, or to preserve sacred knowledge until it is time to be revealed. During this full moon, it might be wise to draw your own magic circle and make space for meditation. Shatabhisha is connected with the crown chakra. In acupuncture baihui, also known as Du 20, means "100 Convergences" and is stimulated to raise energy. 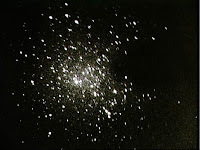 Du 20 may also be used as a portal to higher levels of consciousness. It is a perfect time to explore these realms in solitude or in a sacred circle of like-minded devotees. It is also a good time to experiment with herbal or flower remedies, especially for health issues that are hidden or difficult to diagnose. OOps, I commented on the wrong post (I just noticed you have TWO posts on the Aug. Full Moon. THIS is where I meant to comment.) Anyway -- You are so informative! 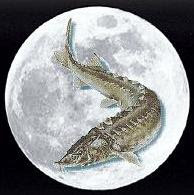 The Native American info about the Sturgeon Moon (and the migration of the sturgeon and maybe the oil) is especially fascinating. You mention Rahu, and Shatabishak being about protection, and this full moon day happens to be the Vedic holiday Raksha Bandhan, related to the malefics (such as Rahu) and also about protection!